A nacreous cloud over the city. 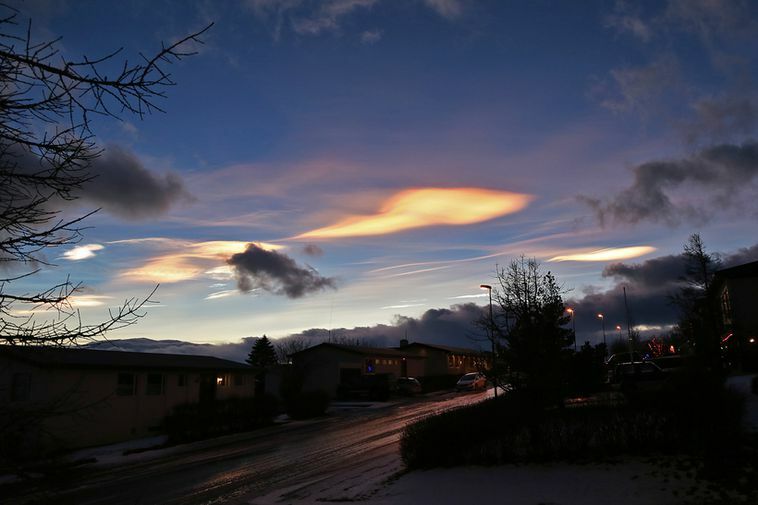 This morning, a beautiful nacreous cloud could be seen in the early hours over Reykjavikin the eastern part of the dawn sky. Such clouds are generally spotted in midwinter, at around sunset or sunrise when skies are clear. They can be seen even when its almost dark outside. Nacreous clouds, also known as polar stratospheric clouds or mother-of-pearl clouds are formed by ice crystals at a height of between 15 and 25 thousand metres and are implicated in the formation of ozone holes.